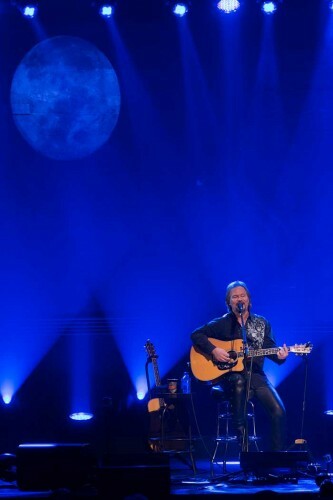 USA - Derek Parker has handled lighting design for country music singer Travis Tritt for seven years and after years of using discharge spot fixtures on a steady regimen of shows, now enjoys the benefits that the 300W Satura Spot LED Pro moving head from Elation Professional brings. Tritt is a multi-Grammy and CMA award-winning artist and plays anywhere from 80 to 100 shows year in and year out. His latest outing started January 10 with a series of acoustic shows before getting the full band involved February 28 for a run of shows that has him touring through September and likely longer. The 300W Satura Spot LED Pro is as bright as a traditional 575W discharge fixture yet consumes half as much energy. Its long-life LED engine lasts on average 80 times longer than a 575W discharge source. 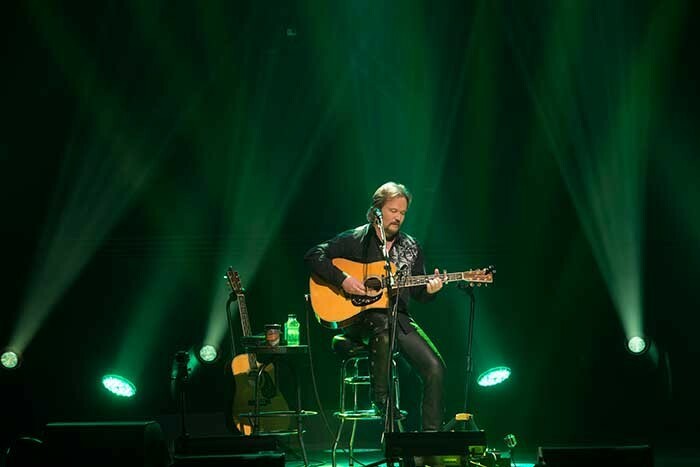 On Travis Tritt, Derek uses the Satura Spots from an upstage and midstage position for everything from backlight to lighting up backdrops and even improvises at times by using them as an ellipsoidal to pick up solos. 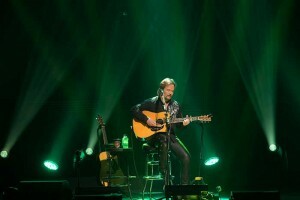 Some fixtures also worked from a floor position on Tritt’s acoustic shows. “Really the whole fixture was a surprise to me and I’m getting more out of them than I thought I would,” Derek says of the LED spots, which he owns due to the economic benefits over renting for an artist like Travis Tritt, who spends the bulk of the year on the road. “I’ve seen a few other LED spots out there that just didn’t have punch but to have a true 4-color light engine that is additive instead of subtractive really keeps it strong. Even when I put the Satura up against a 575W light, it makes the 575W fixture look dim, and when we play venues that have Sharpy’s, they don’t disappear. I was also surprised with the focus and the zoom on it is really good. You can get real hard edges out of it. They really hold their own and do what I want them to do.” Derek purchased the fixtures through Michigan-based Fantasee Lighting.